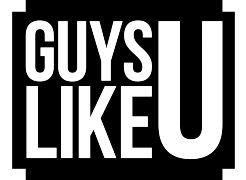 GuysLikeU’s Matt Oakes opens up about an abusive relationship that left him reclusive. There are some things that happen to us in life that takes us a long time to deal with and process. And for me, I am finally at a place where I am ready to talk about something that is very personal, something that happened to me many years ago. It has taken me all that time to work through it and begin to get back to being me. I want to talk about domestic abuse. Several years ago I met guy who for whatever reason just clicked with me. We spent all our time together, shared each others interests, met each other’s families and I began to fall for him. He had his issues which I always knew, family problems and he was not at all comfortable with his sexuality, but his issues were not where the problems began, it was how he dealt with them. I soon noticed he was turning to alcohol a lot to cope with the problems going on his life, and soon he began to spiral out of control. He turned to drugs, began hanging out with a bad crowd, people who I’d never seen before. He became almost a completely different person to the guy I once knew, the guy I fell for. But when you care about someone you don’t turn your back on them, right? You stay and try to be there for them, help them through whatever it is they are going through. My decision to stay and help took a very unexpected and scary turn. I remember most of what happened clear as day. I was driving us around country lanes exploring places we had never been before, no idea where we were or where we were heading. This is something we used to do each week. We would pull up and talk, have a drink, whatever we’d stumble upon. But this night was different. He was drunk and when I pulled over he insisted on having a go at driving my car. Naturally I refused – there’s no way I’d let a drunk behind the wheel of my car let, alone one who doesn’t have a licence. This led to a huge argument. He was screaming at me about not trusting him, showing a side of him I had never seen before. He stormed out of the car telling me to leave him there and he would walk home – I didn’t….I couldn’t, neither of us knew where we were and it was getting dark. I went after him and that is where events spiraled out of control and get a bit hazy. The argument continued and during this he smashed a beer bottle. I know at one point he threatened me with the broken glass, and me thinking I knew him, called his bluff. I challenged him to use it, thinking there is no way on earth he would. Next thing I knew I was pinned to the road with the broken beer bottle pushed against my neck. I remember feeling it pierce the skin and I remember tasting blood in my mouth….and he was laughing. I can remembering just laying there for a good while, even after he got off me. I felt numb, in complete shock at what had just happened. That was the last night I saw him. How I dealt with this event was the worst part for me, mainly because I didn’t deal with it. I told no one, I shut myself away from friends and aside from going to work I pretty much became a recluse. I felt so ashamed of myself for what had happened and felt so vunerable that someone I had trusted so much could have ever had done something like that to me. In my mind I thought not dealing with it and not talking about it would make it just go away and I could move on. But this is never the answer. Moments like that change you, and if you don’t talk to someone about it and face it head on you are never going to be able to get back to the person you once were. Luckily for me I met a couple of guys who after four years of not trusting anyone, I actually felt like I could open up to. These guys without even knowing it helped me move on just by talking through my past with them and letting me open up to them, and now I am in a much better place. My confidence is back on track and I’m beginning to get back out there – I’m me again. I’m not sharing this with you to get things off my chest or just to share my story. But I want to highlight the importance of dealing with domestic abuse, and that there is NEVER an excuse for it to happen. What happened to me was mild compared to what a lot of guys who deal with abuse on a daily basis. It doesn’t have to be just physical abuse either, emotional abuse can affect someone just as much. Please, if anyone out there is going though something like this, reach out to someone for help. There are lots of support initiatives out there you can call or if you have a friend you can confide in. The most important thing to remember is don’t be ashamed, don’t let another person ruin your life. You might think you can change or fix them, but the truth is being someone’s punch bag is not helping anyone. Always make sure you are happy in any relationship and if you’re not for any reason, then be honest with yourself, maybe this isn’t the right person for you. How much you love or care for them doesn’t come into it, you can’tlet it. You deserve to be with someone who treats you right and makes you happy….we all do. An emotional Austin Armacost speaks out about the Orlando tragedy….